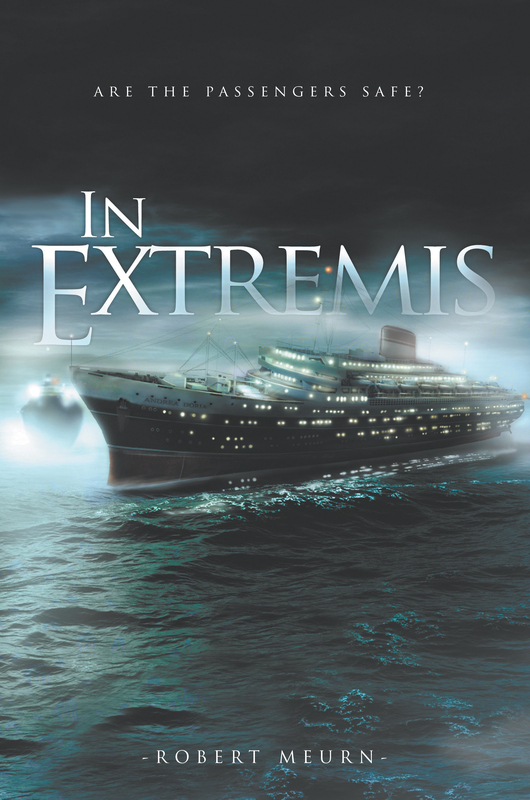 Home / History / In Extremis: Are the Passengers Safe? In Extremis: Are the Passengers Safe? The sinking of the Andrea Doria on July 25, 1956, was devastating as the ship embodied the vibrant heart and soul of Italian heritage and its people. The sinking marked the twilight of the ocean liner as a significant means of passage across the oceans. Within a year of this tragedy, transoceanic flights were routinely scheduled. The Stockholm’s destruction of Italy’s beautiful maritime crown jewel had ramifications throughout the world. 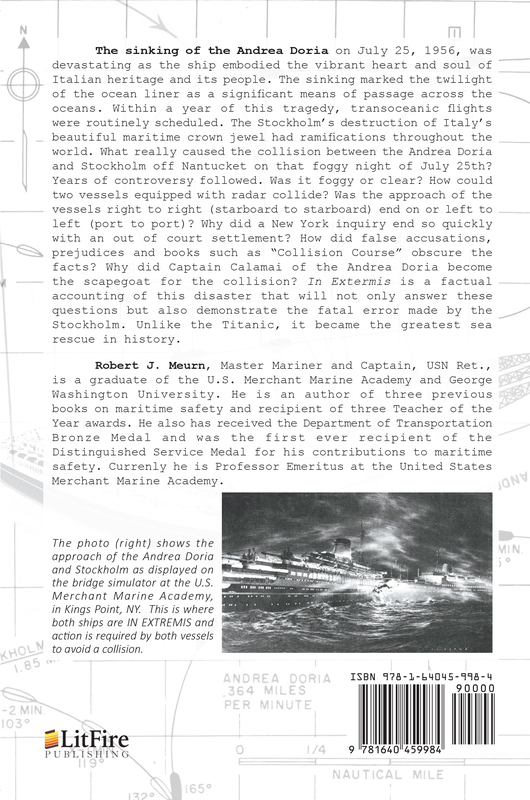 What really caused the collision between the Andrea Doria and Stockholm off Nantucket on that foggy night of July 25th? Years of controversy followed. Was it foggy or clear? How could two vessels equipped with radar collide? Was the approach of the vessels right to right (starboard to starboard) end on or left to left (port to port)? Why did a New York inquiry end so quickly with an out of court settlement? How did false accusations, prejudices and books such as “Collision Course” obscure the facts? Why did Captain Calamai of the Andrea Doria become the scapegoat for the collision? In Extremis is a factual accounting of this disaster that will not only answer these questions but also demonstrate the fatal error made by the Stockholm. Unlike the Titanic, it became the greatest sea rescue in history. Robert J. Meurn, Master Mariner and Captain, USN Ret., is a graduate of the U.S. Merchant Marine Academy and George Washington University. He is an author of three previous books on maritime safety and recipient of three Teacher of the Year awards. He also has received the Department of Transportation Bronze Medal and was the first ever recipient of the Distinguished Service Medal for his contributions to maritime safety. Currently he is Professor Emeritus at the United States Merchant Marine Academy.